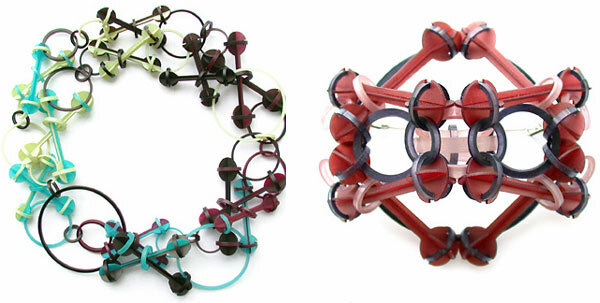 technology to meaningful, personal, wearable art. Purchase Tickets Online, Click here! The Philadelphia Art Alliance is delighted to welcome internationally renowned German jewelry artist Svenja John for a lecture and presentation as part of our new series, The Commonwealth. Ms. John will speak about the inspiration for her ground-breaking jewelry and how globalization is affecting and linking craft artists from all over the world in new ways. 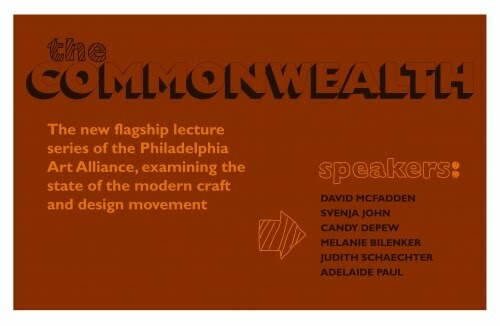 Continuing with PAA’s mission of the advancement and appreciation of contemporary craft and design, The Commonwealth is a series of lectures that will explore the current issues pertaining to the modern Craft movement, through panel discussions and lectures by artists, academics and curators from the notable craft specific institutions in the city and the larger Northeast Corridor. PAA Announces New Program Series! PAA announces this new series with great excitement, as we embark on the next chapter of our distinguished history. 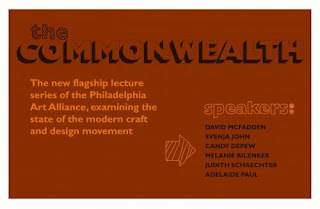 Having successfully navigated through our transition from a multi-disciplinary art center to one focused on contemporary craft and design, PAA is poised to embrace our new mission, and position our institution as a pre-eminent presenter of thought provoking craft and design exhibitions and programs in the Philadelphia region and beyond. The Commonwealth will solidify this commitment and usher in a new era for PAA and our constituents.